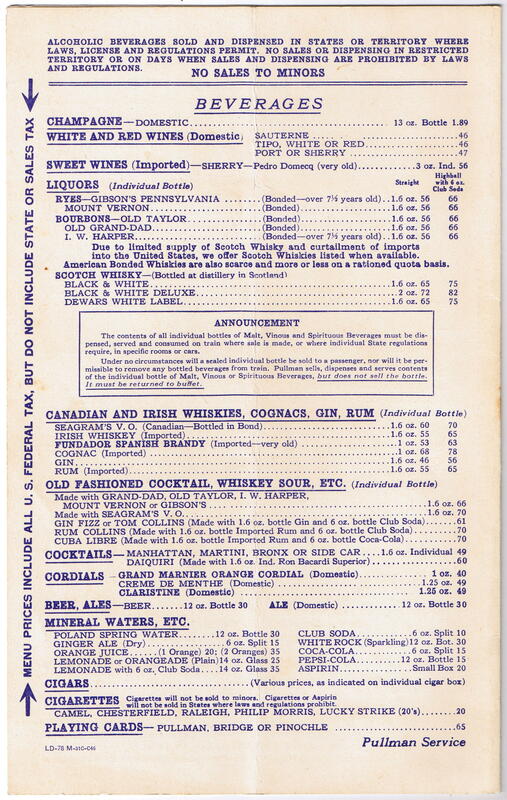 Description One very nice example of a 1946 Pullman Restaurant Menu. 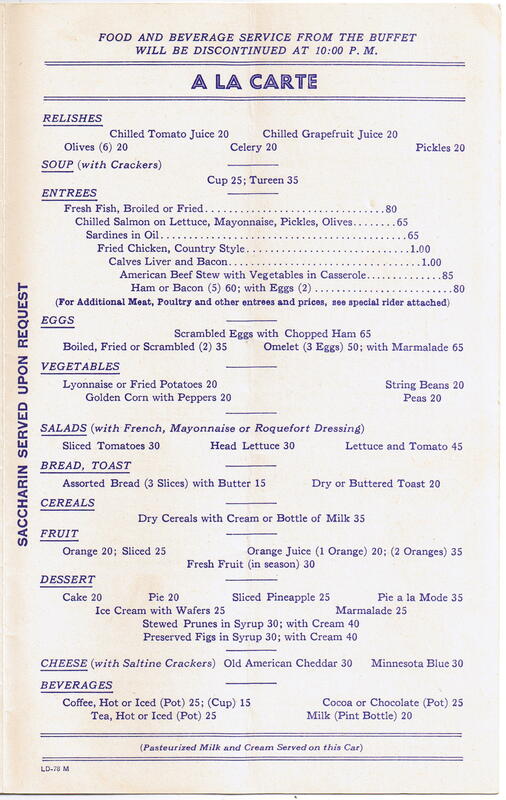 Pullman called full dining car service a "Restaurant Car" to differentiate it from their normal - but much lighter - Buffet, Lounge and Club Car service. 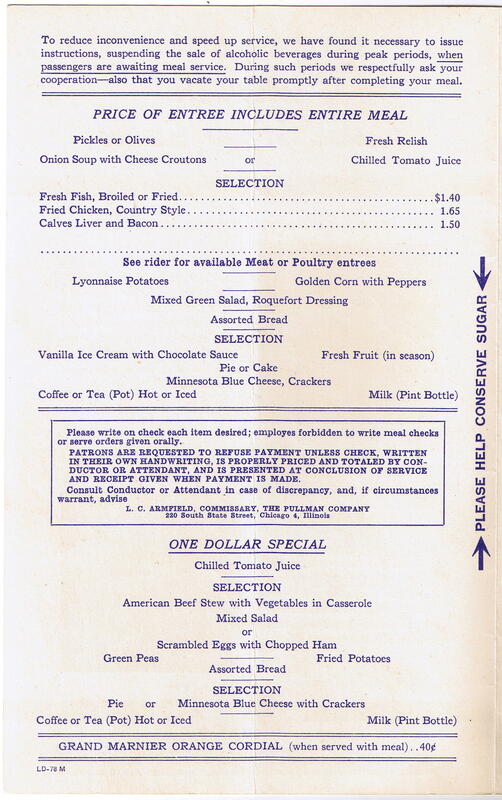 Most railroads preferred to offers their own dining car service. 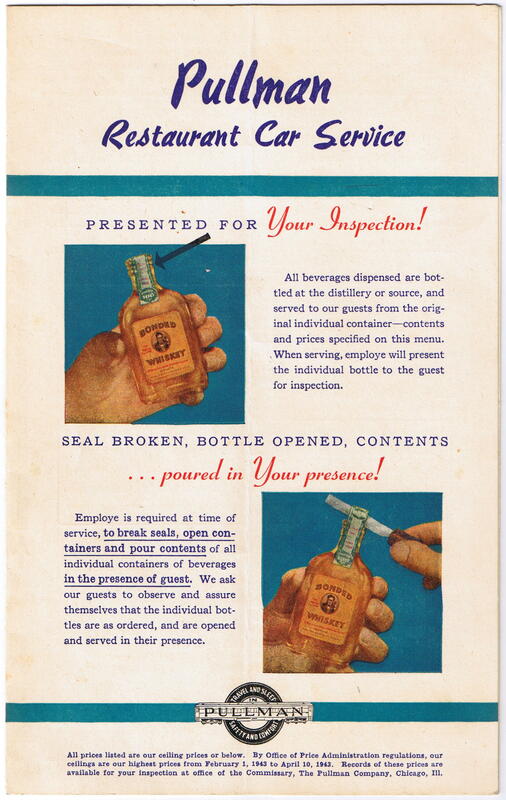 Pullman used the individual bottle service cover on numerous menus in the post war years.